The Samsung SRN-470D is a 4-Channel NVR which is a reliable surveillance solution for users looking for excellent performance in a compact package. It allows you to record 4 CIF resolution videos at 120 fps (NTSC) from up to 4 channels for high-quality imagery. Multiple recording modes like continuous, scheduled, manual, etc. allow you to easily configure your security system to record based on your requirements. H.264 compression allows you to save on storage space while also minimizing the bandwidth requirement for operations. In addition, it also supports MJPEG formats for use as per the application. The unit comes pre-installed with a storage space of 500 GB, and with an eSATA interface for external HDD you can further increase the storage space to meets the growing demands of high-resolution storage.The SRN-470D NVR connects to the network via an Ethernet cable port, and through its intuitive user interface, you can easily manage the system from a centralized location within your network. Support for multiple data transfer protocols ensures advanced network connectivity at all times. In addition, this DVR automatically notifies users via email about specific events, helping minimize system downtime. 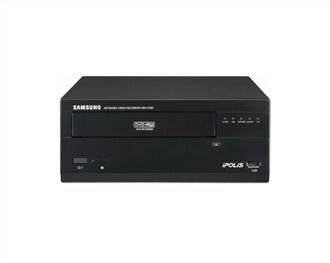 The Samsung SRN-470D-1TB has many exciting features for users of all types. The Samsung SRN-470D-1TB is sold as a Brand New Unopened Item.